Dr. Weindun Alan Guo is a surgeon at ECMC, specializing in laparoscopic surgery, trauma surgery, and surgical critical care. He also sees patients at our outpatient surgical clinic. 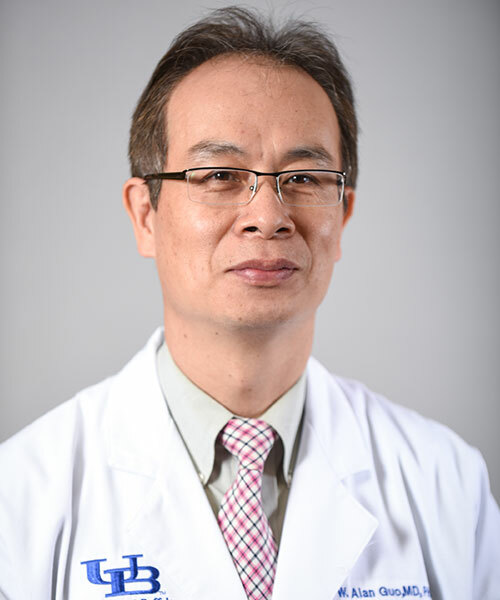 In addition, Dr. Weidun Alan Guo is an Assistant Professor within the Department of Surgery at the State University of New York at Buffalo School of Medicine and Biomedical Sciences.